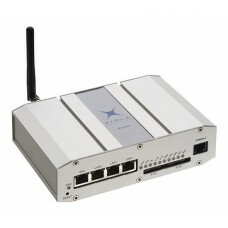 Arctic 3G Gateway provides wireless monitoring and control of field devices via 3G. All field assets can be monitored and controlled seamlessly from a central site using the power of 3G. Arctic 3G Gateway can be connected to multiple field devices by using Serial or Ethernet ports. Arctic 3G Gateway has quad-band HSPA wireless module featuring data speeds up to 7.2 Mbps on the downlink and up to 5.76 Mbps on the uplink.